Washed Up Rookie sees old music friends getting the band back together. Cogdill (right): “Writing or recording, we try not to over-think it.” Photo by Audrey Hutson.. The air-conditioning is currently out in the attic that serves as Washed Up Rookie’s rehearsal spot. With temperatures already reaching the 100-degree mark with regularity this summer, the breakdown is untimely. Yet the twosome purveying swampy fuzz-blues is fighting through the paint-peeling heat to prepare for its next show. 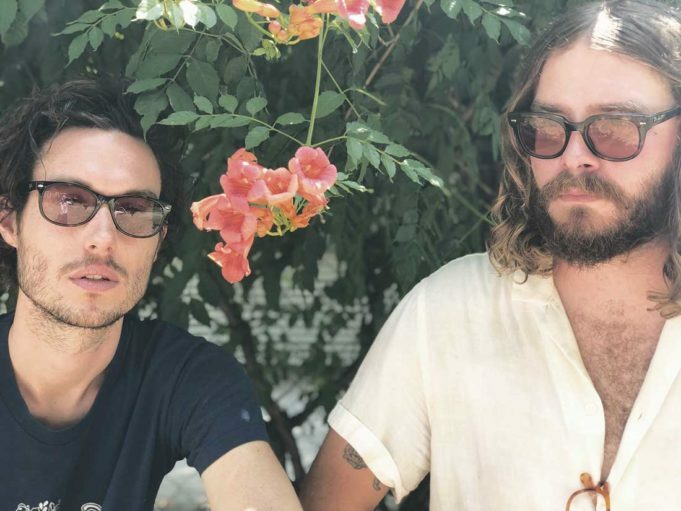 On Friday, singer/guitarist Colton Cogdill and drummer Madison Cotton will take the stage at Lola’s Saloon to celebrate the release of a new EP, the second in the fledgling band’s catalogue –– they’ve been together for only a year or so. For now, due to the swelter, they’re keeping their practices short. It was more than a decade ago that Cotton first climbed into the same attic above the garage of Cotton’s parents’ house. The two met in high school in Cleburne, where they both grew up. Through a mutual love of comic books and the Beatles, especially Lennon’s rawer, “more genuine” songs, Cogdill said, they struck a friendship that eventually led to the two of them writing their own songs. That first project, called the Vibes, played regularly in the once-hopping (but now defunct) University Drive spots The Aardvark and The Moon Bar during the latter aughts. The band eventually petered out, and the two kicked around separately in other groups during the following years. But they always kept in touch. On occasion, they’d casually discuss playing together again one day. After Cogdill returned to Fort Worth after living in the Austin area, that loose talk of rejoining became more serious. Sonically, Washed Up Rookie creates raw, sensual, downtempo dishwater blues intercut with fits of raucous and plaintive fuzzed-out guitar. With Cogdill’s quiet yet strained vocal delivery, his reverb-drenched blues riffage, and Cotton’s shaman-esque tom play, comparisons to the Black Keys are likely unavoidable, especially with the guitar/drums two-piece makeup. But that comparison is unfair. 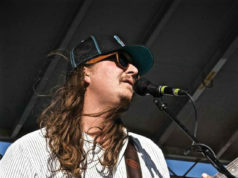 Cogdill’s songs have an authenticity that steers them well clear of being derivative. Washed Up makes the kind of dirty and imperfect music that should be experienced in smoke-filled basement bars as opposed to commercial college radio. The spirit of their primal, brooding, and soulful rock style is captured on the band’s new EP. The three tunes were recorded earlier this year at Cloudland Recording Studios with Robby Rux overseeing the tracking, mixing, and mastering. Rux’s wife, Jennifer Rux, and One Horn Studio’s Joe Tacke (Mean Motor Scooter, I Happy Am) contributed some engineering help as well. No Celebration picks up where the band’s debut EP, which was released last October – appropriately titled Years Later – left off. The Ruxes also recorded that first effort, and the working relationship that developed between them and the band made tracking together again an easy decision. In addition to the new EP, there’s more to celebrate for the tandem blues deconstructionists. 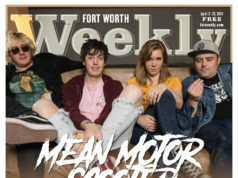 They’ve been nominated for Best New Artist in this year’s Fort Worth Weekly Music Awards and will have a slot among the 39 other nominees at the accompanying Music Awards Festival on Sunday, June 24. They’re also contributing a track to the award’s accompanying compilation album, Frequencies Vol. 9, the sales of which will benefit the United Way of Tarrant County. Though the two guys are really just getting back into playing together, they’re looking forward to what’s in store. “Hopefully, if you listen or see us live, you’ll kind of hear what we’re going for, and maybe we can have a heart to heart,” Cogdill said. 8pm Fri w/DTW, The Deluxe, and Josh & The Jet Noise at Lola’s Saloon, 2736 W 6th St, FW. $10. 817-759-9100.